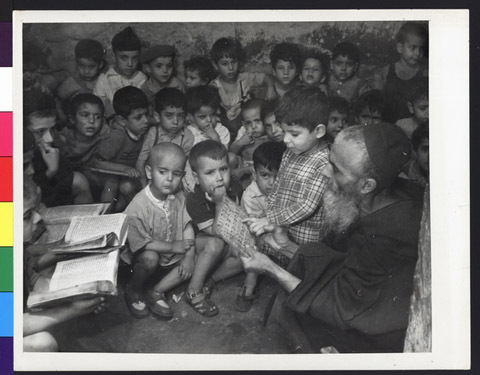 JDC - Archives : Young children learning Hebrew in crowded classrooms in the Jewish quarter. Title Young children learning Hebrew in crowded classrooms in the Jewish quarter. Description Morocco, Casablanca; circa 1948; Crowded classes in hovels in the old Jewish quarter, with rudimentary instruction in religion and Hebrew, is the only schooling available to thousands of Jewish children in Morroco.